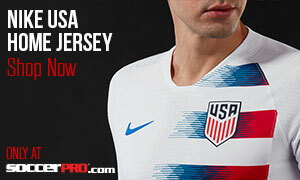 When it comes to unique haircuts on the United States’ roster, winger Gyasi Zardes has to at least the make the top three. 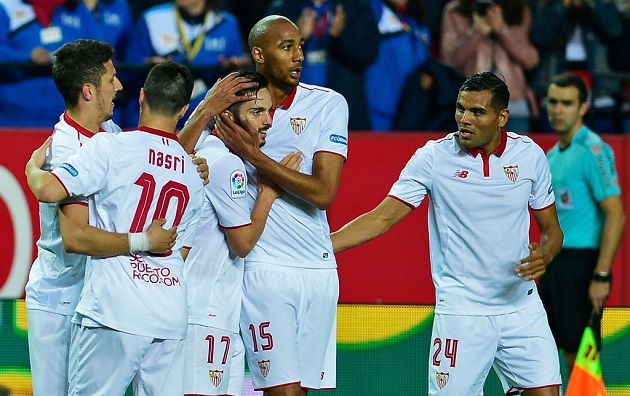 The blonde-topped attacker has begun to establish himself as a first choice player under Jurgen Klinsmann and also as one of the most valuable young talents in Major League Soccer. Zardes was born in Hawthorne, California, a suburb of Los Angeles back in 1991. This proximity to an MLS city allowed for the young player to be scouted by his eventual employers, the L.A. Galaxy. It wasn’t until the Galaxy Academy’s 2008-09 season that Zardes first suited up for the California club, making appearances for the U-18 team and eventually working his way through the ranks all the way to the club’s USL Super-20 affiliate. 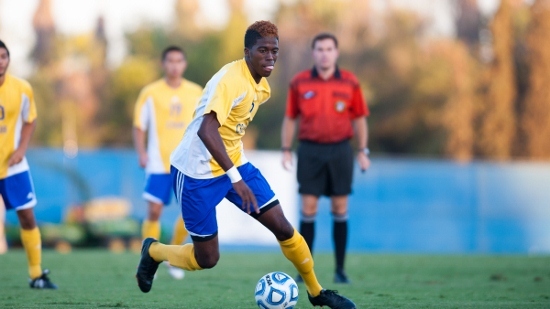 When Zardes finished high school, he decided to continue his playing career at Cal State Bakersfield (less than a three hour drive away from his L.A. roots). After being redshirted for his freshman season, the 20-year-old racked up five goals and seven assists (a team high) during his first year of college competition. In the next campaign, Zardes truly introduced himself to the collegiate game by scoring 18 goals in just 20 games and recording 38 points for the season. These impressive performances helped the team to a 12-4-5 record and earned them a spot in their first ever NCAA Division I tournament. In his final year at Bakersfield, Zardes again led the team in points as he registered 15 goals in 17 games while adding on another nine assists (39 points). The team finished with a 9-5-5 record, but failed to earn a bid to that year’s NCAA tournament. After his impressive college career, the 22-year-old winger was able to forego the MLS draft and sign as a homegrown player for the L.A. Galaxy. 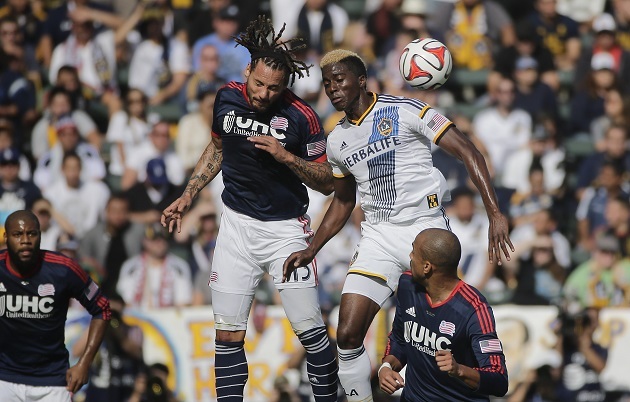 It wasn’t long before Zardes started to earn significant playing time during his rookie campaign. In just his third appearance for the club, the Academy product scored his first professional goal against the Vancouver Whitecaps with a well-taken headed effort. At the conclusion of his first season in the MLS, Zardes had managed to start 23 times out of his 27 appearances, racking up four goals and two assists along the way, while also finishing fourth in that year’s Rookie of the Year voting. Similarly to his college career, it wasn’t until his second season that the Bakersfield alum really started to come out of his shell. His partnership with Robbie Keane was one of the most feared in the league, and the experienced Irishman helped push Zardes to 16 goals (six of which were game winners) and two assists. The improved performances meant that the winger saw the field even more than his rookie season as he started 31 times out of 37 total appearances. The breakout season also ended with Zardes’ first professional silverware after his goal helped defeat the New England Revolution to claim the Galaxy’s fifth MLS title. 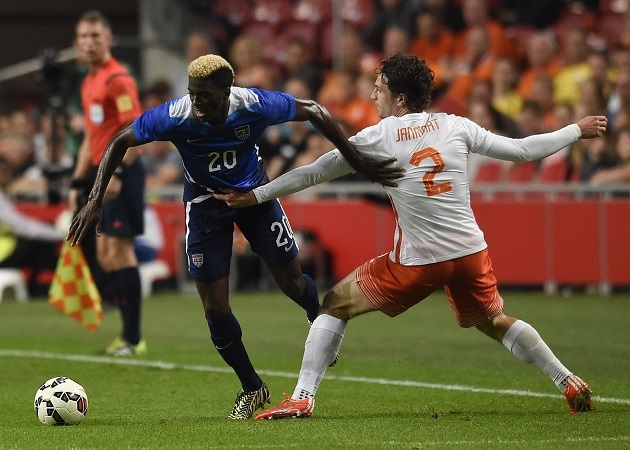 Gyasi Zardes’ career with U.S. National team is just now starting. The 23-year-old’s first appearance for the Stars and Stripes was just this year when he came on as a substitute against Chile in January. It took seven matches before the Galaxy winger finally found the score sheet, but it couldn’t have come against a better opponent in the Netherlands. His close range effort equalized the score and helped propel the U.S. to a historic 4-3 upset over the Dutch. Currently, it appears as if Zardes has established himself as Klinsmann’s first choice winger on the left side of the pitch overtaking Sporting KC’s Graham Zusi for the starting spot. If there’s one thing that Zardes has, it’s pace. His ability to run past defenders on the wings and up front make him a constant threat to break open plays and it forces defenders to pay constant attention to when he may make a run. However, it takes more than speed to make a great player and Zardes has plenty of other tools at his disposal. His strength allows him to muscle past defenders for goals similar to his one against the Holland, and it also makes him a threat on aerial balls into the box. On the ground, the Galaxy man has lightning quick feet to fool defenders and get out of tricky situations.